When working with various classes and controls in WPF, it’s helpful to know the parent-child relationships between the classes. The .NET Framework makes heavy use of inheritance, which means that many of the properties and methods of a control or class derive from another class higher up in the hierarchy. 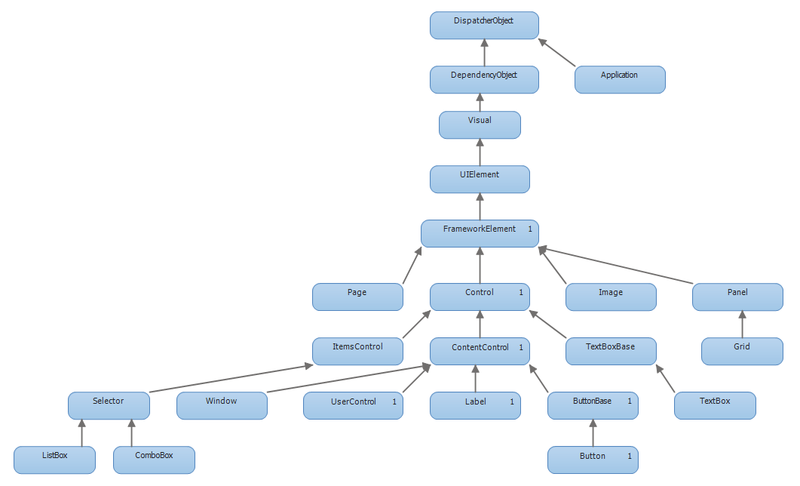 Here is a view of the class hierarchy for a subset of the most common classes in WPF. (Click on the image to see it full sized). Click here for a more complete class hierarchy, in post #171.